Uncovering the Main Causes of a Yeast Infection – Part 2 - YeastInfection.Org by Eric Bakker N.D.
June 20, 2013 by Eric Bakker N.D. In my last post I started to outline some of the main causes of yeast infections, taking a careful look at issues pertaining to antibiotics, immune disorders, and other chemical medications. Of the 11 main causes, I covered just 4 – and they were pretty big. Today I want to cover the rest. In my experience, not many avoid alcohol. While I do occasionally see some people with a yeast infection who don’t drink, they tend to be uncommon. Most all folks I’ve seen with a chronic yeast infection drink alcohol regularly. And the types of alcohol I associate the most with a yeast infection are beer, white wine, and spirits like whisky, rum and bourbon. Any alcohol can be implicated, but these are the big ones. Why these spirits? Any spirits that a person will routinely mix Coke (or a high sugar soda drink) with is more likely to get a yeast infection because they are consuming plenty of extra sugar. Those with yeast infections are drawn to alcohol, like moths are to a flame. Is there any “safe” alcohol? Not really. All alcohol can promote candida, whether it is gin, vodka, whiskey or wine. Most yeast infection sufferers have poor digestive health leading to nutritional deficiencies, and alcohol is often implicated here too. Just like alcohol, this group of foods – sugars, alcohol, refined flours, etc. – encourages the growth and proliferation of a yeast infection. Typically craved foods are breads, chocolate, moldy cheeses (brie, camembert, etc. ), pickles, sweet sauces, and the sweet fruits like oranges, bananas, grapes, and dried fruits. I won’t elaborate on foods too much here. We’ll discuss them in a lot more detail later on. Stress eventually depletes our body’s ability (adrenal glands) to produce sufficient cortisol, which in turn reduces the immune system’s functionality. Fluctuating cortisol levels also cause blood-sugar dysregulation (hypoglycemia) that is a further risk factor for candida. Those with prolonged stress often end up developing adrenal fatigue. In my experience, most all chronic yeast infection patients have some degree of adrenal fatigue, which is best treated at the same time as their yeast infection. Many people with chronic yeast infections are toxic people, and hair or urine testing may reveal a heavy metal problem. Mercury has been implicated with chronic candida as well. Later on, we’ll talk about methods for detoxification. Diabetics are more prone to candida yeast infections for several reasons, but the main connection is that diabetics have problems regulating their blood sugar levels. There are two main types of diabetes, however, all forms of diabetes have one thing in common, which is insulin production problems or insulin resistance. The pancreas in a healthy person produces insulin. Type 2 diabetics (diabetes mellitus) have generally a problem with insulin resistance in that the cells of their body have a problem accepting insulin’s ability to regulate blood sugar. The purpose of insulin is to process blood sugar (glucose) into energy. And sugar, as you are aware, is the primary agent that feeds a yeast infection. Since people with diabetes have higher concentrations of glucose in their body, they are therefore also at a higher risk of developing recurrent and chronic candida yeast infections. Chlorinated water is a big but commonly overlooked problem in the development of a yeast infection. By swimming in a chlorinated pool or a Jacuzzi (spa pool) you are allowing your body to absorb plenty of chlorine, an antibiotic. Why is this so? Why do you think they throw that stuff into the water? They throw it in to kill any bacteria and algae, and not unlike an antibiotic you swallow, you are allowing the yeasts to thrive by reducing the beneficial bacteria levels in your body. Just as chlorine kills bacteria in the water, it also kills the body’s normal bacterial flora. Just like chlorine, mold is a frequently overlooked problem when it comes to candida. Mold will hurt the immune system by suppressing it. I have seen many patients who improved once they moved out of their house. Think about carpets, rugs and walls in bedrooms, kitchens and bathrooms. Sometimes mold is obvious on walls or ceilings and sometimes it is not. If you have a mold problem it will continually send out microscopic spores into the air that you inhale. It would be crazy of me to tell you to avoid all of the above risk factors 100%. 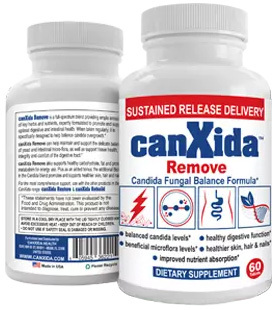 My goal here is to make you more aware so that you can at least work to significantly reduce your exposures and, in turn, your risk for developing chronic Candida. For people that do a lot of swimming what is best thing to do besides get dry as soon a possible?